Heavy slurry pump is used to transport slurries of corrosive or high hardness solid particles for many industries. The performance of sludge pump reaches world-class level. It can uphold a flow of 15,000 m3. Its shaft seal adopts packing seal or vice impeller seal. Heavy slurry pump is widely applied in mining, electricity, metallurgy and coal industries, and environmental protection. 1. 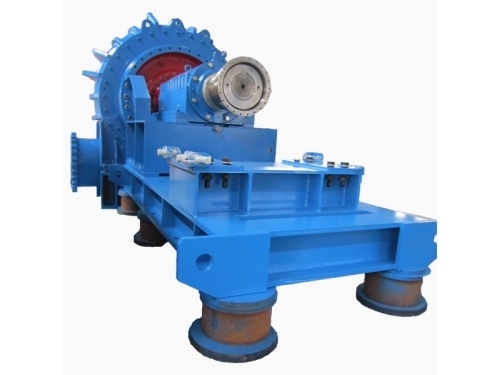 750 NZJA heavy slurry pump is used in tailing transportation in Mongolia Erdenet copper mine. 2. 550/450NZJA series has been put into use in Jiangxi copper mine, Zhongjin gold mine, Mongolia Erdenet copper mine. 1) Unique wear-resistant design (structure and material) to ensure a long service life of wetted parts. 2) Wide range of performances and high efficiency of sludge pump. 3) Multistage tandem technology to meet long distance transportation. 4) High performance cost and simple maintenance. 5) Wetted parts of various textures to meet all kinds of working conditions. 1) Rubber front plate can be working for 205 days. 2) Rubber impeller equipped in sludge pump enjoys a long service life (about 120 days, twice as long as other impellers). This kind of rubber is featured by high resilience, chemical stability, anti-cavitation and small density. Besides, it absorbs noise and vibration and makes wetted parts of heavy slurry pump light and easy to install and replace. The working process is tested respectively by operators and quality inspectors to ensure a high quality. Jiangxi Naipu Company cooperates with many nationwide famous mining research and design institutes to gain their technological supports. Besides, the company is able to design domestic first-class mining equipment and develop new products. 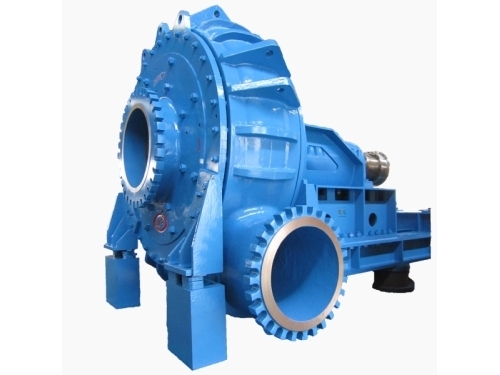 Choose the appropriate model of heavy slurry pump basing on minerals. According to different service conditions, choose wetted parts of particular textures. Following are four common schemes. 1. R: Rubber impeller+ rubber sheath+ rubber cover plate. This is suitable for fine particles. It is also suitable for middle and low lifting height of a heavy slurry pump. 2. M: Metal impeller+ metal sheath+ metal cover plate. This is fit in for minerals of high temperature and mineral oil. 3. MR: Metal impeller+ rubber sheath+ rubber cover plate. This collocation is suitable for coarser particles, high lifting height transmission and semi-autogenous grinding discharging. 4. MMR: Metal impeller+ metal front plate+ rubber sheath. Available service conditions: coarse particles and high lifting height. 1. Please follow the regulated security measure to install, operate and maintain heavy slurry pump. It has functions of pressure-bearing and transmission. 2. The installation, operation and maintenance of auxiliary devices should obey this security measure and refer to relevant regulation. The auxiliary devices include motor, belt transmission device, coupling, high-speed box, stepless speed change device, etc. Heavy slurry pump is sturdy and durable. As long as assemblage and installation are reasonable, the machine’s merits of reliability, long service life and less maintenance will be fully showed. 1. Heavy slurry pumps should be packaged in iron boxes. 2. Sludge pump will be delivered within 30 to 60 days after receiving down payment. Field installation and maintenance services will be provided on the condition that orders of heavy slurry pumps reach a certain amount.